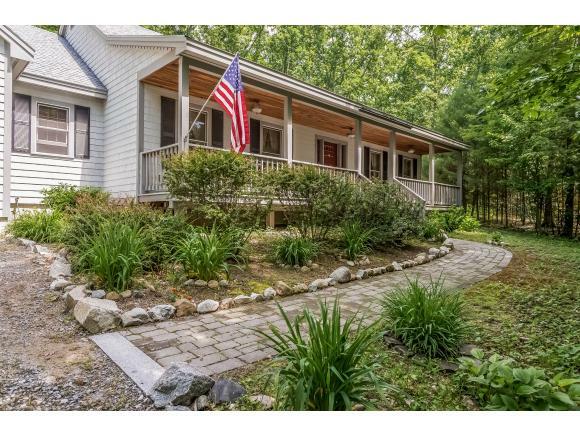 Idyllic Moultonborough Lake Home. Dynamic, Ever-Changing Views & a 40 Plus Foot Sandy Beach. 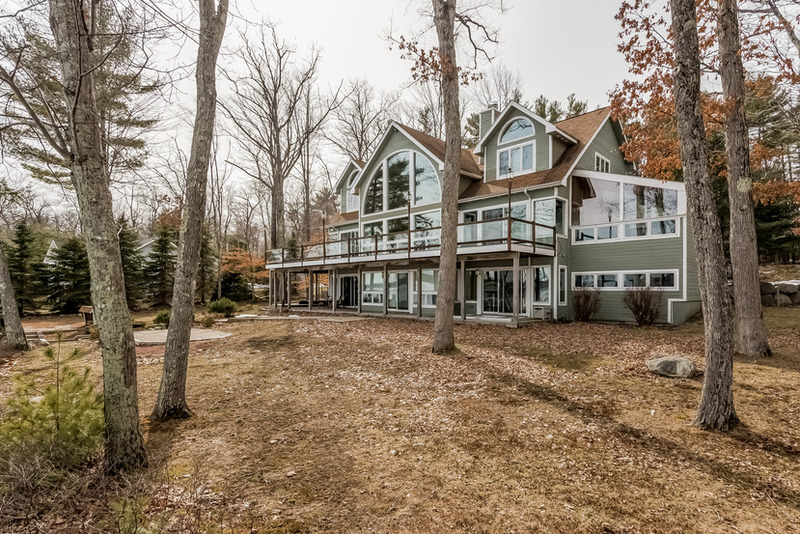 Gentle Access to Your Waterfront. 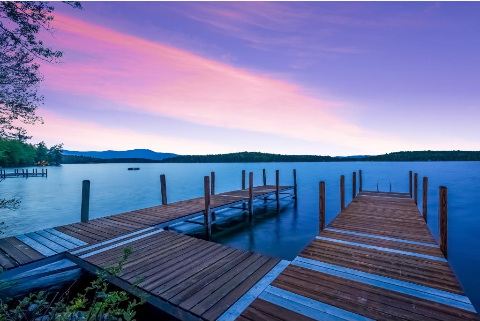 The Magical Setting on the Winnipesaukee Point will Sweep you off Your Feet! 40 ft. Plus Sandy Beach. Panoramic Lake and Mountain Views. 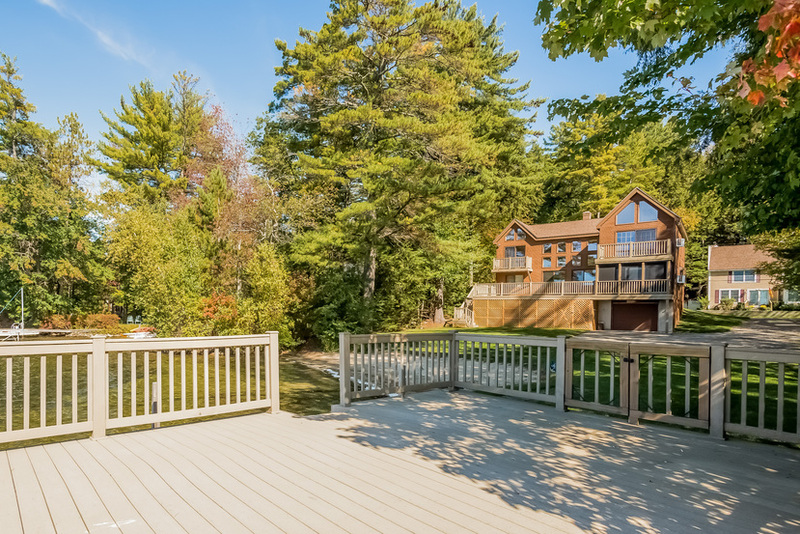 4 Decks, including one over the shoreline of Winnipesaukee and a new L-shaped dock. 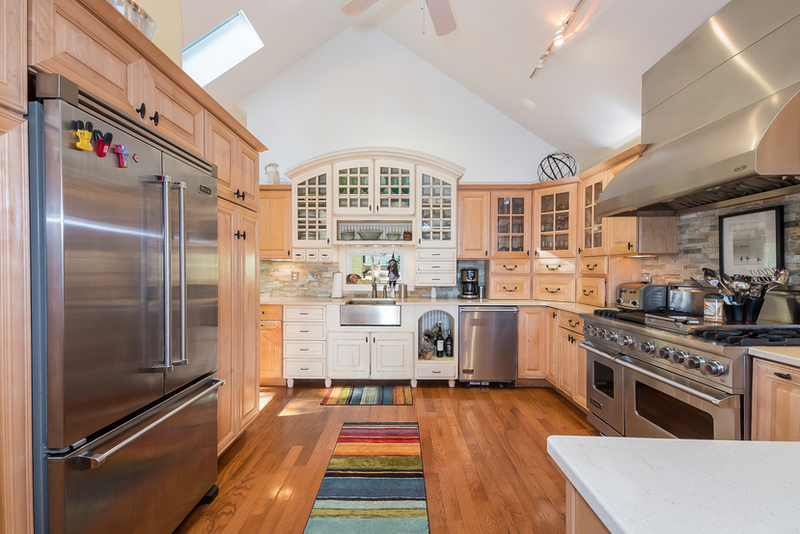 This 10 room lake property has been renovated in 2012 to enhance the picturesque lake cottage charm, while adding luxurious touches such as a Gourmet Chef's kitchen with exquisite cabinetry and top of the line Viking appliances. 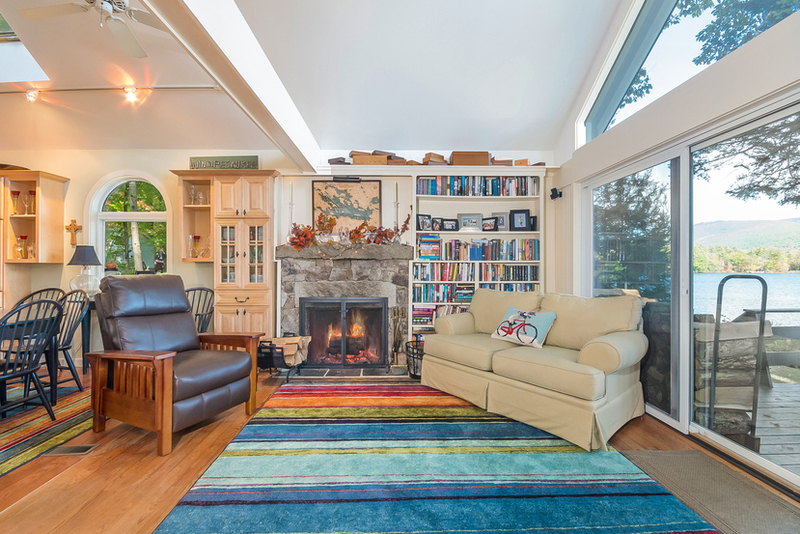 interior features include hardwood floors, vaulted ceilings, and a fireplace that is a work of art! 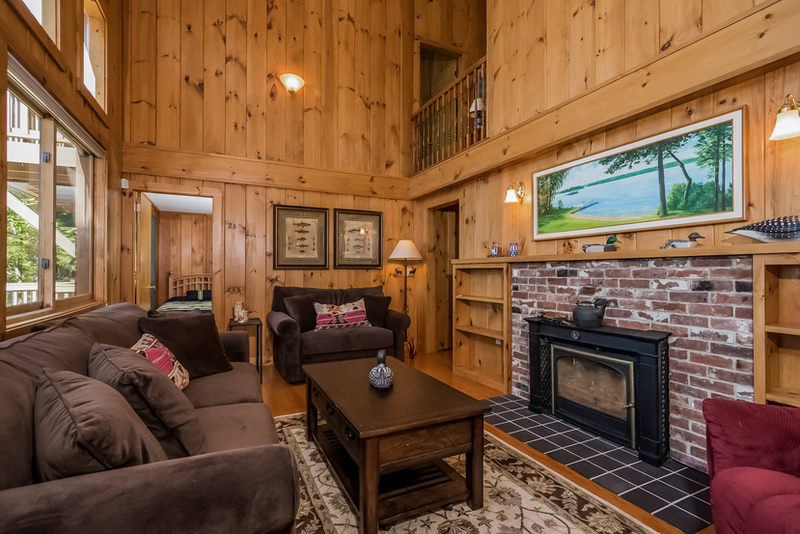 This unique fireplace has no mortar and is made of fieldstone that fits together creating a mosaic that is a great centerpiece to an open concept living area that takes in one of the most beguiling panoramic lake and mountain views on Winnipesaukee. 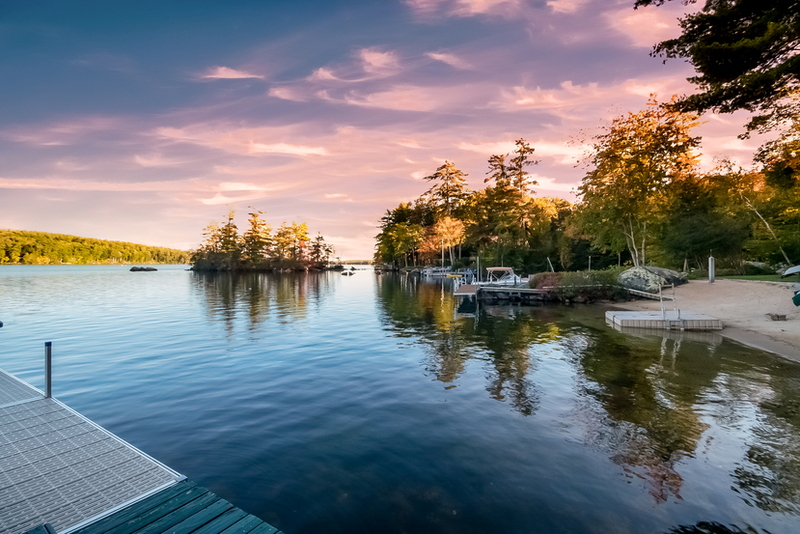 The ever-changing views from this point of land are of of the Ossipees, Castle in the Clouds, and down Moultonborough Bay. Lovely, small Islands in the foreground keep boaters at a distance and make this a great location for swimmers. The .4 acre waterfront lot and .23 acre back lot allow ample level recreating space. 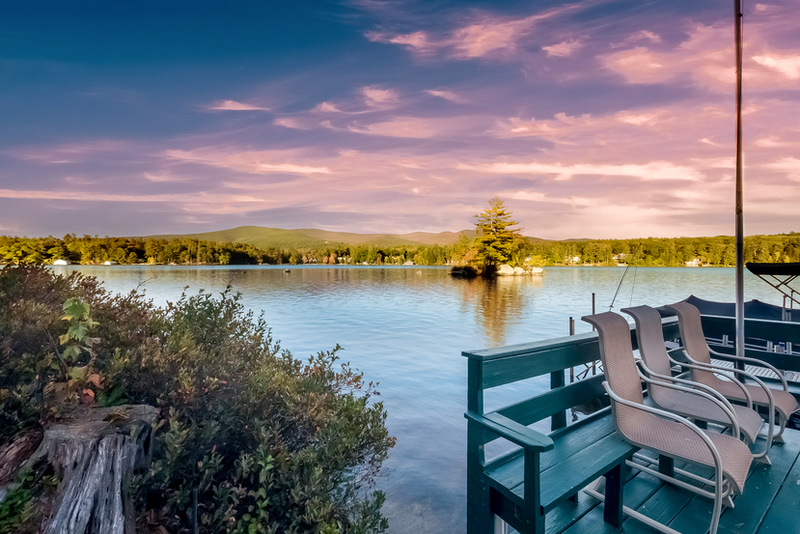 This quiet road is quintessential new Hampshire. 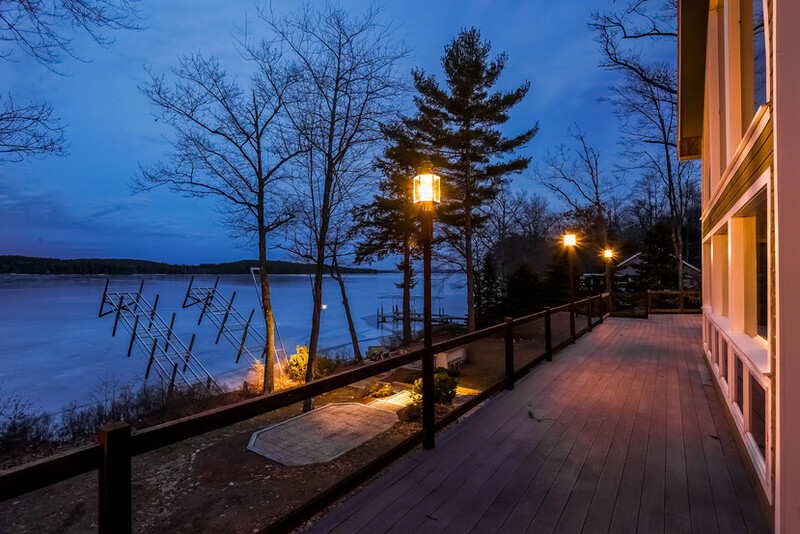 Nature's beauty and wildlife is abundant here at this Winnipesaukee jewel with 100 feet of waterfront. Offered at $1,265,000. Contact Nicole Watkins for details. 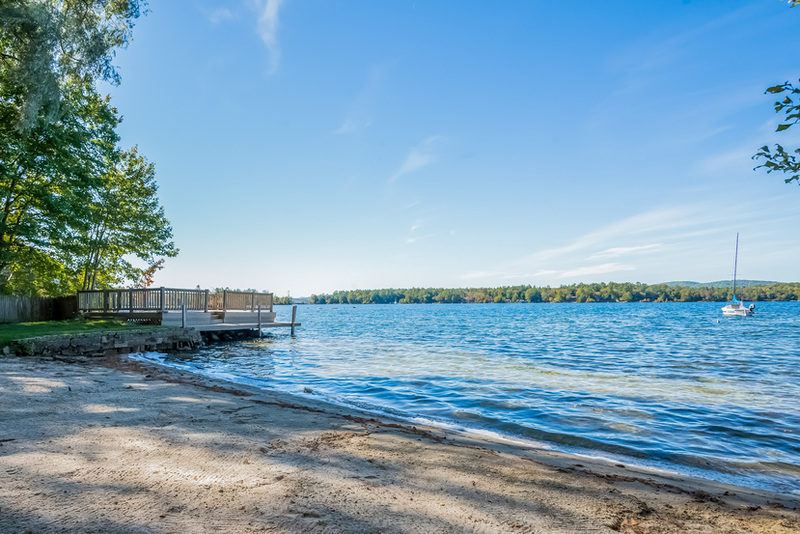 An inviting neighborhood for wildlife and a protected bay with long views are some of the features home owners in the Windermere Association enjoy. The Bald Eagle pictured here prefers the quiet and wooded areas around the Windermere Association. 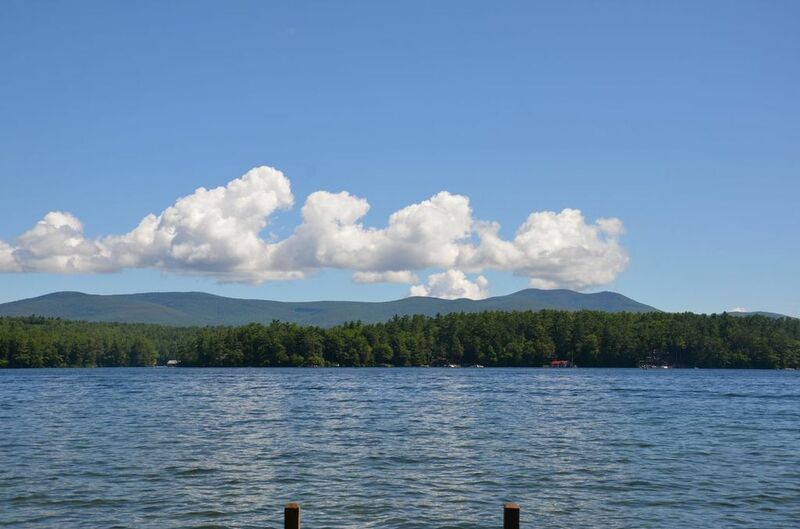 While Eagles and Loons provide some of the most beautiful sites and sounds on Lake Winnipesaukee, the Loon Preservation Committee needs support to help keep Lake Winnipesaukee a home for these rare birds. 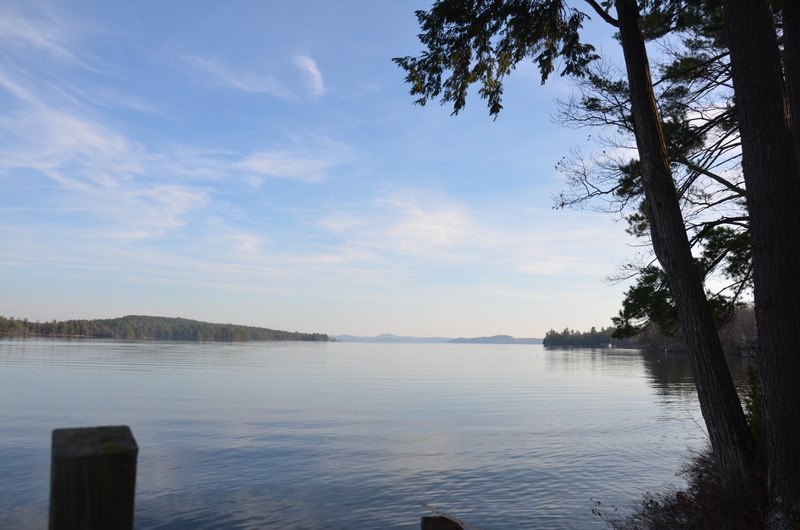 The New Hampshire Department of Environmental Services Fact Sheets have information on how to help keep Winnipesaukee clean. 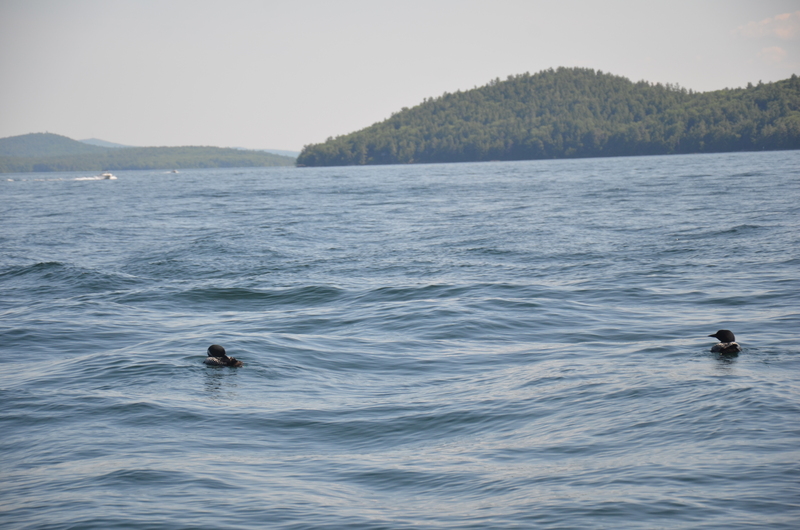 If boating regulations, including speed limits are followed, this will go a long way to help keep wildlife safe on Winnipesaukee. 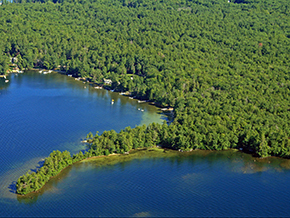 Common courtesy for other boaters and and respect for the lake is critical in the long term survival of the lake. With extraordinary warm weather and low gas prices the lake has been more inviting to boaters this summer. By educating ourselves on practices to keep the lake clean, we can keep the lake beautiful for future generations. 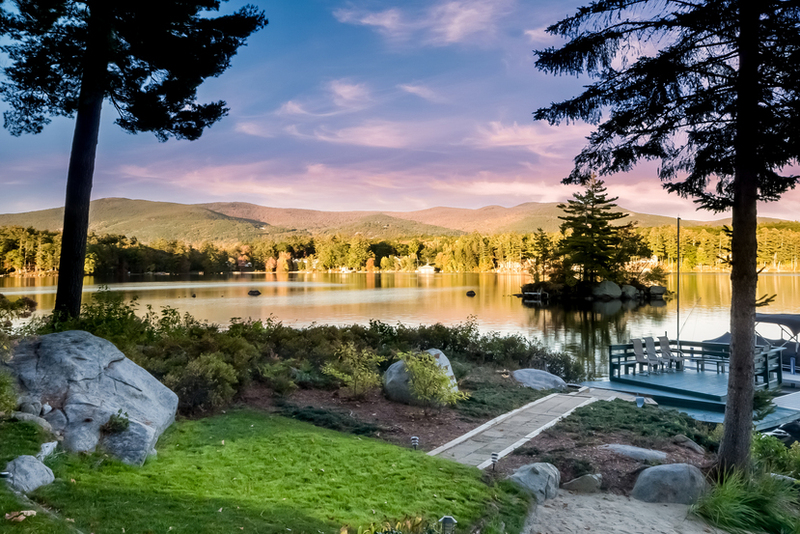 In an election year, why not ask your candidates what they intend to do to help keep NH's lakes clean? 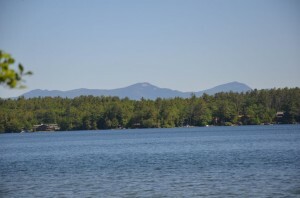 The New Hampshire Department of Environmental Services and the New Hampshire Lakes Management and Protection Program need very strong support from the legislature to do their job well and to keep our New Hampshire lakes and ponds healthy. Water conservation is a related issue that is especially important in drought years, such as 2016. Water Conservation Practice Fact Sheets can be found on the NH DES website regarding water conservation. The Fact Sheets WD-DWGB-26-18 - WD-DWGB-26-23 are especially helpful for homeowners. Arsenic and bacteria levels can change in years that parts of drinking wells that are usually submerged become dry. Ask your water or well company for information on water testing. 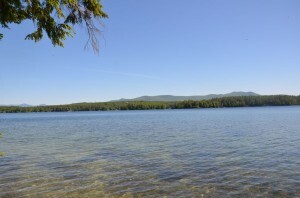 Winnipesaukee parcel has level lakeside lawn and perched beach. Stunning! 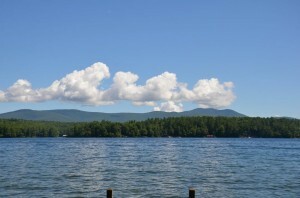 Winnipesaukee parcel has level lakeside lawn and perched beach. Just in time for Spring Weather! 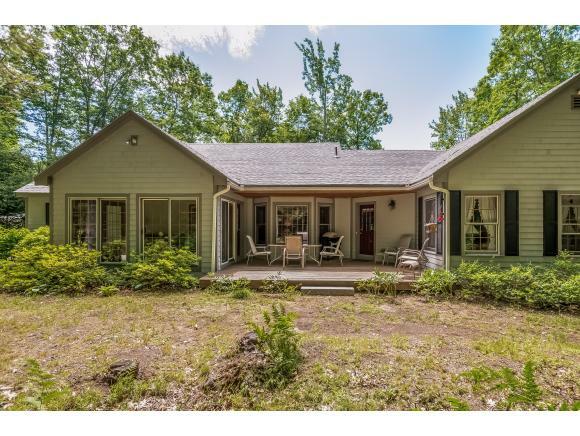 This Price Reduction is Great News for Value Minded Buyers. 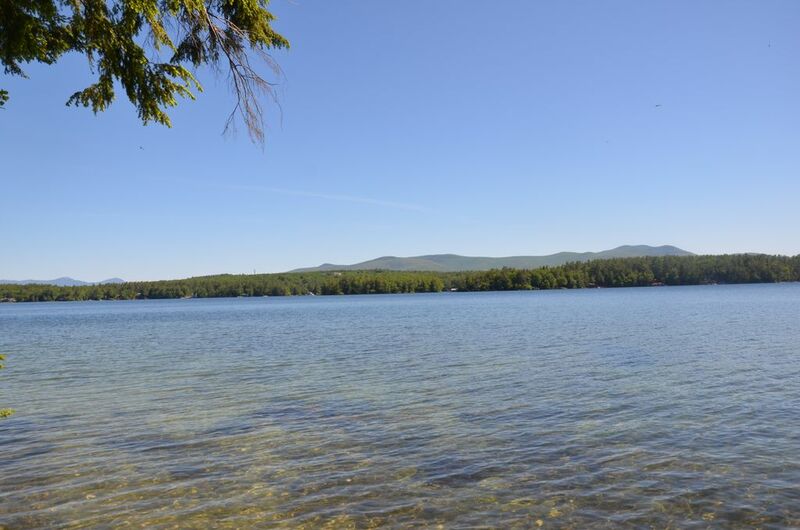 Moultonborough, NH - This is a spectacular waterfront parcel! Superb privacy! Panoramic views! 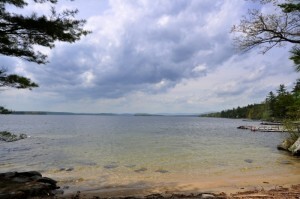 This level lot has a perched beach that allows gentle access to the sandy waterfront. Direct view from the dock at 291 Long Point in Moultonborough looks towards Far Echo and majestic Mountains. Privacy and Spectacular Lake and Mountain Views. 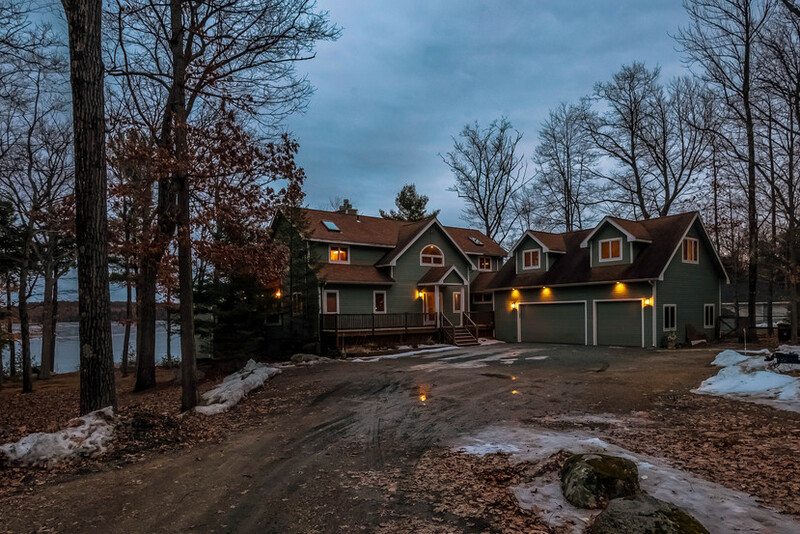 With 1 acre directly on Lake Winnipesaukee and 200 feet of prime waterfront bordered by tall pines, this Moultonborough waterfront property has privacy that is a rare find. 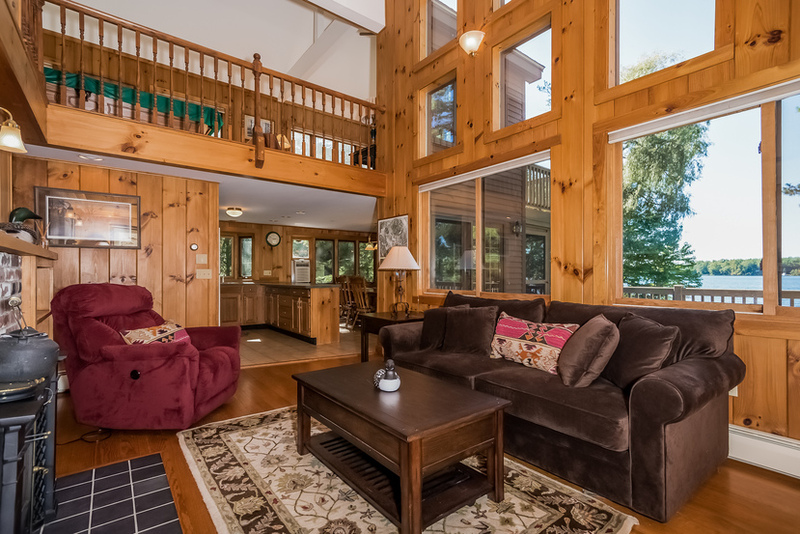 The year round house has an open concept living room/dining room with sliders that open to the 3 season sun room and lakeside lawn. 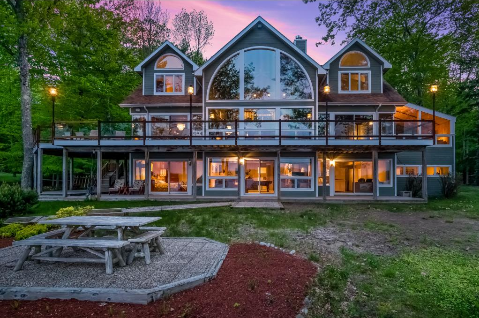 The home's interior also features a first floor master suite with great lake views. Even the friendly neighborhood is a notch above prime. The current home is a 2 bedroom home, but the Site Assessment Study states that the lot could potentially support a 5 bedroom system. on the right column of my website's Moultonborough page. NicoleWatkins.com. Contact me with any questions.